The industry’s only solution that gives you the ability to choose the truck lease you need with the built-in truck maintenance that fits your business. EquipmentChoose from a variety of manufacturers and a vast selection of vehicles custom spec’d to meet your business needs. MaintenanceWith three maintenance levels and three delivery options — Ryder shops, mobile, and on-site - you choose the method that fits your business. Financing We offer the most flexible financing solutions which allow you to choose from capital and operating leases, with options including tax advantage solutions and fair market value. Lease TermsGet the flexibility you and your business need with short, medium, and long term options between 1 and 10 years in length. The way you manage your fleet affects your business’ bottom line, and can determine your success going forward. Deciding whether to own or lease depends on many factors: type of operation, truck configuration, managing preferences, maintenance needs, routes, capacity, and financing. We can help you determine how leasing may be the best solution for your operation. With Ryder’s expert maintenance built into your truck lease, you get a reliable solution that maximizes your uptime to greater than 95% and eliminates breakdowns – at a predictable monthly cost. 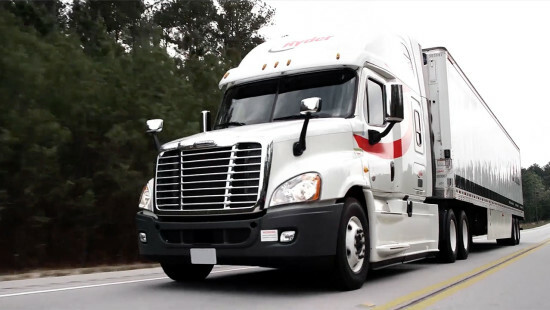 You have access to our more than 800 service locations coast-to-coast, and our more than 5,900 professionally trained and certified technicians to keep your trucks moving. Through our truck leasing solution, you also get to choose where your service is performed whether it is at one of our service locations, on-site at your location, or through our mobile maintenance. See more with this short video. Choose the truck lease you need with the built-in truck maintenance that fits your business. Get a reliable solution that maximizes your uptime to greater than 95% and eliminates breakdowns and gives you access to our more than 800 service locations coast-to-coast. No matter what type of fuel you use, we have the products and locations that correspond directly to your needs. With Ryder, protection goes beyond insurance. Plans cover everything from truck repairs to third-party bodily injury and property damage. We also provide coverage options for your non-Ryder trucks and cargo. Ryder's employee training, safety products, and related services take the headache out of complex compliance requirements. RydeSmart solutions connect you with real-time information such as vehicle location, speed, idle time, and direction, giving you the visibility into your fleet that you need. What is your fleet size (Class 3-8 trucks)? With a variety of pre-owned tractors, trucks, vans and trailers for sale- we can help you assemble a best-in-class, reliable fleet, without breaking your budget. With over 37 thousand vehicles to choose from, you gain unparalleled selection and service. All you have to do is pick the one that is right for the job. 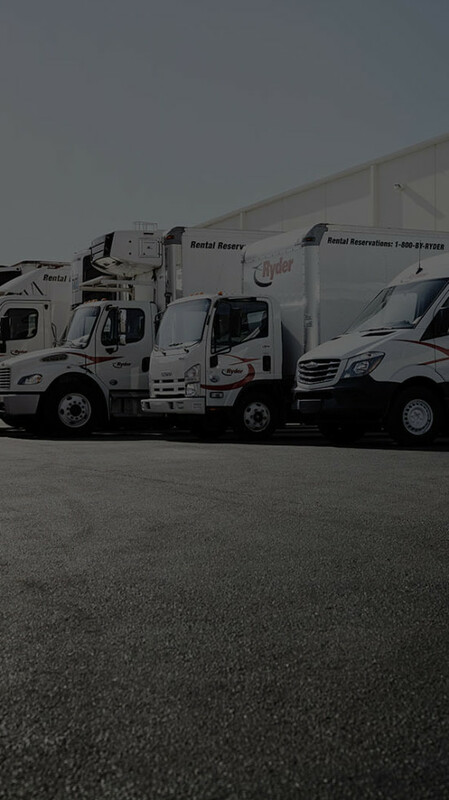 Ryder can customize a strategic solution, with just the right mix of trucks, drivers, fleet maintenance, routing, technology tools, compliance, and administrative support to keep your business moving. By combining our warehouse distribution and transportation capabilities, you will have end-to-end visibility into your operation while reducing costs. That is the Ryder supply chain advantage.